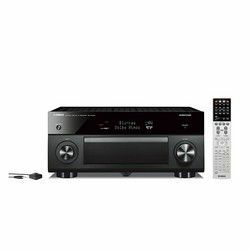 While looking at Yamaha RX-A3070BL vs Yamaha AVENTAGE RX-A3080 it seems questionable to pay much money for Yamaha RX-A3070BL that has no dual-zone capability and smartphone remote control. 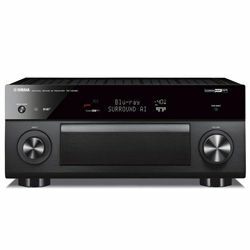 However, Yamaha AVENTAGE RX-A3080 is even pricier. 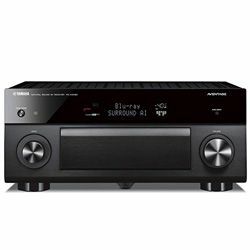 That’s why I decided to compare two Yamaha receivers from the AVENTAGE series to reveal other differences between them. RX-A3080 and RX-A3070BL are the prime examples of the audiophile devices. They are made of only custom parts to avoid vibrations and distortions. They are compatible with Amazon Alexa to provide voice control through other Alexa-enabled units. Besides, it allows watching low-resolution videos in 4K quality. RX-A3080 is very powerful (it gives 1350W versus Yamaha RX-A3070BL’s 725W) and can create the surrounding environment in a large apartment. RX-A3070BL’s power is twice less than RX-A3080’s one, so you can use in the medium rooms. The device is perfect at steering surround effect around the space. Whether low-end crash or birds singing – everything sounds clear and natural. RX-A3080 supports MusicCast that permits arranging the complete wireless home theater. Besides, the AV analyzes the input signal for the best processing to use – no need to change settings for yourself. Yamaha AVENTAGE RX-A3080 has both Wi-Fi and Ethernet connectivity that is a supplemental coverage of router and its stable connection. 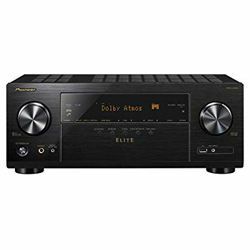 There are lots of inputs and outputs for connecting any extra equipment in this AV. Both units are easy to set up because the company has simplified the AV’s graphic user interface and made it faster. Now there is no need to click plenty of times the remote button to switch to any option. By comparing Yamaha RX-A3070BL vs Yamaha AVENTAGE RX-A3080, no essential differences were noticed. Both of them have a solid aluminum front panel with the lid to cover the control buttons. The fifth middle legs provide their resistance to the vibrations. The printed indicators on the RX-A3080’s rear panel are too small. Both devices have the same dimensions and weight. 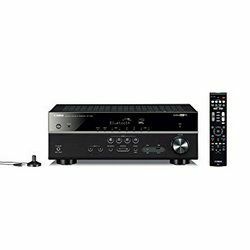 Yamaha RX-A3070BL’s remote has all the necessary buttons – it neither complicated nor oversimplified. Its setups are also easy. 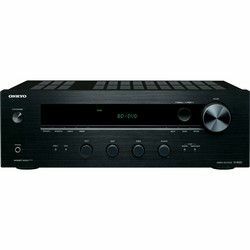 Phono input to connect a turntable for vinyl listening. Good distinct channel separation that makes a signature sound bright. No more volume in the outdoor zones. No three-zone capability to use the AV on the great crowded events. The panning between speakers for moving objects in scenes is very accurate. The sound clarity and crispness is great for both watching movies and listening to music. YPAO doesn’t work for subs so that it needs manual calibration.